Hi. I'm submitting a bug report / support request for the achievement "Every Nook and Cranny". I don't think this Achievement is working or possibly attainable when you have all the current DLC. There are 14 locations in the game with More to Explore, The Emperor's Challenge and Mali Mystery. 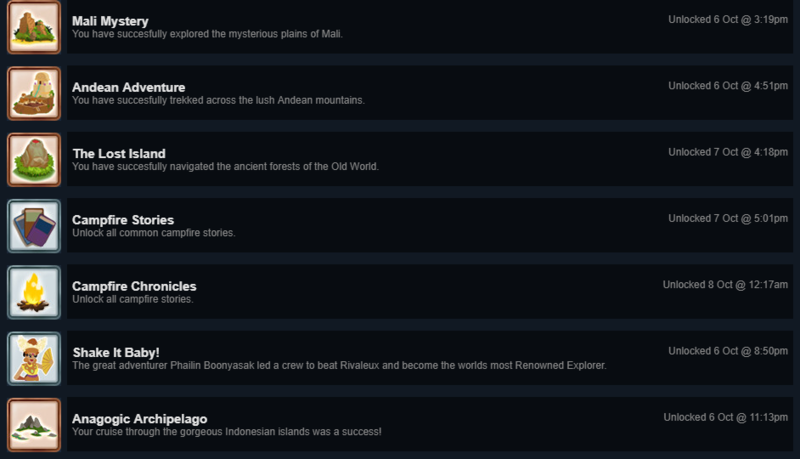 I currently have the achievements for all 14 locations (see screenshots attached), however the achievement has not fired. In addition, the tracker for this achievement is at 13/15, (also in screenshot). As I would like to 100% complete this game, I would like some help on getting this issue fixed. If you need any additional information please let me know. Note: I bought the base game with all the DLC together. I believe it's possible this has something to do with what locations are available. 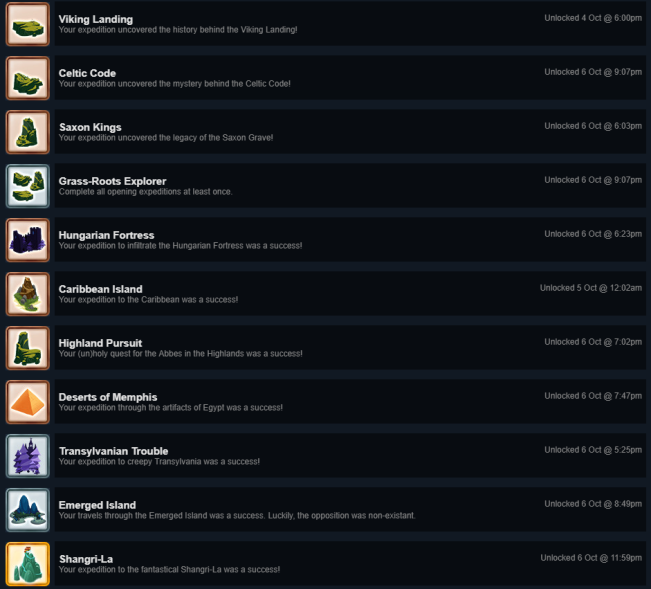 Note: The Achievement tracker *may* actually be at 14 under the hood, Steam sometimes updates these pips in increments. If you need the Achievements file in the savegame directory I can attach that as well.